I am often asked by my clients what are the differences between the elements of Western Astrology they are familiar with, and those of Vedic Astrology. Vedic Astrology uses twelve constellations, just like Western astrology. It uses nine planets: the Sun, Moon, Mercury, Venus, Mars, Jupiter, Saturn, Rahu and Ketu. Rahu and Ketu are the north and south nodes of the Moon and are considered to be planets in their own right in Vedic Astrology. A crucial difference between Vedic Astrology and Western Astrology is that Vedic Astrology uses the Sidereal Zodiac. The Sidereal Zodiac is the zodiac that ensures that what we see in the sky on any given day matches what we see in the calculated horoscope for that day. For example, if we see Jupiter shining brightly in Libra in the sky – then the Sidereal Zodiac will show Jupiter in Libra on that day. Western Astrology uses the Tropical Zodiac. On the same day mentioned above, the Tropical Zodiac will most likely show Jupiter in the constellation of Scorpio. This discrepancy is caused by the fact that Western Astrology uses the spring equinox as a point of reference in the calculation of the horoscope. According to this system, the Sun always enters Aries on the spring equinox (around the 21st of March). While this was true 2,000 years ago when Western Astrology was born, it is no longer astronomically accurate. Due to a small wobble in the rotation of the earth, at spring equinox the Sun can be observed in the constellation of Pisces (at 7 degrees of Pisces to be more precise). What does this mean for your Sun sign? How does it change? 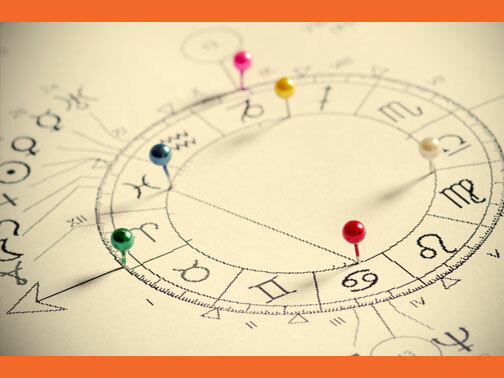 It means that unless you were born between the 15th and the 20/21st of any month, you will find that your Western Sun sign is moved back by one sign in the Vedic chart. Example 1: date of birth is the 7th of May. This is outside of the “15th to the 20th” interval. This means your sign in Vedic Astrology is the one previous to the one in Western. So instead of Taurus, you’re actually Aries. Example 2: date of birth is the 17th of May. This is within the “15th to the 20th” interval. Your Vedic sign will match your Western one – Taurus. Knowing your Sidereal horoscope and Sidereal Sun sign means knowing what was actually happening in the sky at the time of your birth. Western Astrology uses the spring equinox as a point of reference in the calculation of the chart. According to this system, the Sun enters Aries on the spring equinox. While this was true 2,000 years ago when Western Astrology was born, it is no longer astronomically accurate. Besides differences in the zodiacs, there are much deeper differences between the two forms of astrology. Vedic Astrology is 5,000 years old and it has been practiced continuously until today.It has a sacred origin, having been revealed to the enlightened beings of old by the divine. It was passed down from teacher to student through lineages, constantly evolving and improving. As a result it has a multitude of systems and methods proven over millennia to work. It is used on a daily basis in India and not just for interpreting natal charts. It is also widely used to make daily decisions (Prashna) or to determine an auspicious time for a ritual or the start a major undertaking (Muhurta). It is highly accurate in its predictions since its original goal was to make accurate predictions to help people navigate the tumultuous river of life more gracefully. Jyotish is rooted in the spiritual knowledge and philosophy of India – the same philosophy that gave us Yoga, Ayurveda (Indian Traditional Medicine), Vastu. It is based on a deep understanding of karma and tendencies we carry from one lifetime to another (vasanas). The Vedic Chart is a chart of our karmas and vasanas to be experienced and expressed in this lifetime. Vedic Astrology is NOT fatalistic. There is an element of fixed karma – some things that we have to experience no matter what, but there is also room for the expression of free will through which we can make new choices and thus create new and (hopefully) more positive karmas for the future. Vedic Astrology is also rooted in the Hindu Mythology whose richness and power cannot be emphasised enough.